This is my recipe for homemade doughnuts. These doughnuts are light and super delicious. One of our homemade glazed doughnuts! 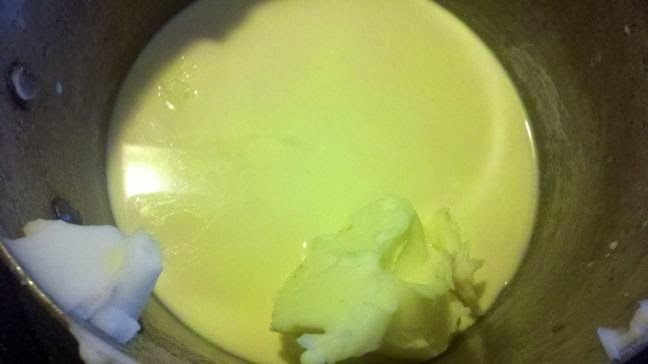 Scald your milk and shortening together in a small pot. Once they are scalded, pour into a mixing bowl and stir in the sugar and salt. Add your flour, eggs, and activated yeast mixture. Stir well; transfer to a table top or counter top. Knead the dough. Spray your mixing bowl with cooking spray and place the dough inside; place in a warm area and let rise until doubled. Roll out the raised dough 1/4-1/2" thick and cut into doughnuts. 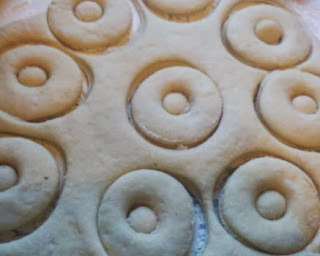 I do not have a doughnut cutter so I used my biscuit cutter and then the "hole" I used the lid to my vanilla. It worked nicely. Place the cut doughnuts onto a sprayed cookie sheet and let them rise for about 30 minutes. 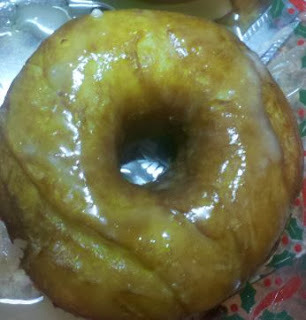 Drop doughnuts into hot oil until done. Dust the cooked doughnuts with powdered sugar or mix up some cinnamon sugar and sprinkle on the doughnuts or make a glaze. Mix well and drizzle over doughnuts. Your homemade donuts look delicious! Thank you for your comments and for stopping by! Oh, thank you Rhonda. I was not well for a bit...MS had me down but I'm back and have missed everyone. Hugs! Your Homemade Donuts look and sound mouthwatering. Thank you for sharing with the Clever Chicks Blog Hop! I hope you’ll join us again next week! Thank you Kathy. I enjoy participating in your blog hop. Oh, thanks so much Edye! You're making me hungry over here! ;) Thanks for sharing this with us too at Funtastic Friday! So glad you allowed me too and thanks for dropping by!